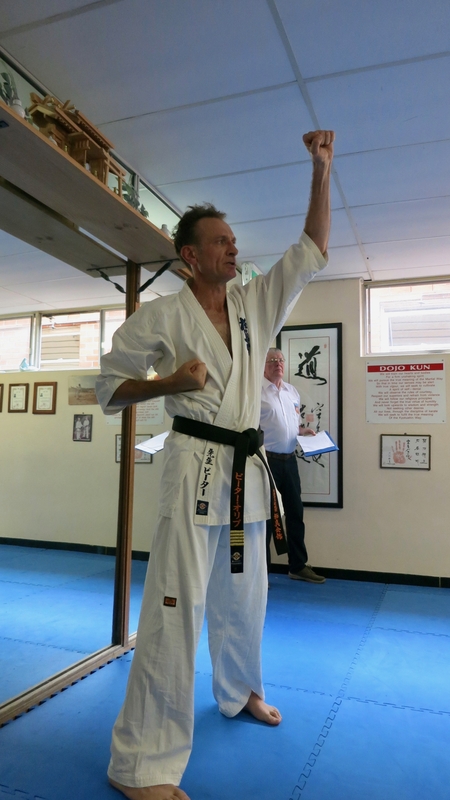 Shihan Howard Lipman held a Black Belt grading at Turramurra Dojo on Saturday the 3rd of December. Shihan Peter Olive leads the grading. There were many KIMAA karateka attempting various Kyu grades as well, both children and adults. 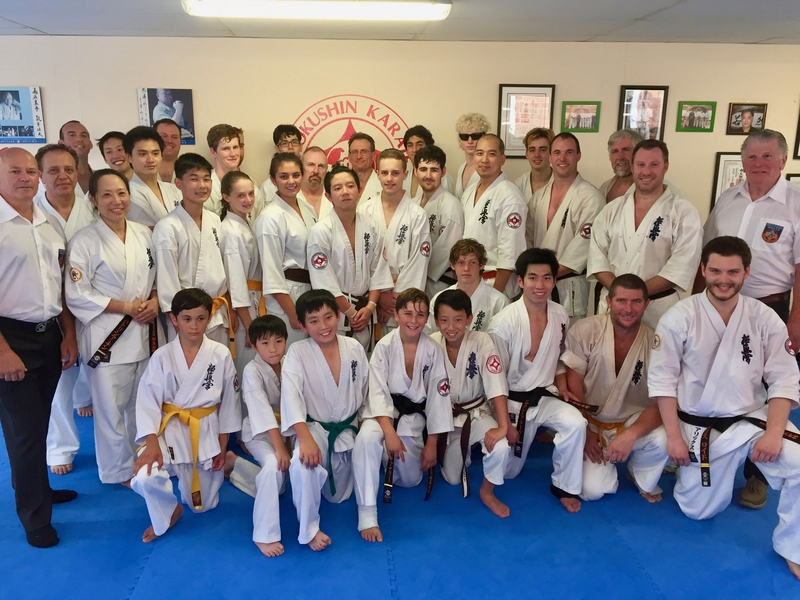 Students from Turramurra, Annangrove, Lismore and Ballina dojos participated in the grading, with Wesley Snider and Mick Calnan also making the trip down with Trish from the North Coast dojos. Travelling with their students were Sensei Mark McFadden and Sensei Jon Ellis. Shihan Howard was judging the students’ performance on the day, with assistance from Shihan Rick Cunningham, while Shihan Peter Olive took the students through their techniques. Many other KIMAA black belts came in support of the students attempting the grading. At various points during the basics, the black belt applicants, and applicant for 1st Kyu Elia Parsanejad, took the class. Supporting black belts train with those grading. Victor Sweeney leads the grading. Joshua Darley leads the grading. Angus Sweeney leads the grading. Shihan Howard corrects students’ technique. Sensei Ben Ng demonstrates Ushiro Geri. Elia Parsanejad leads the grading. After the basics, the grading turned to kata, bunkai, advanced techniques and fitness. Many gruelling hours later, it was time for the sparring. Sempai Jason and Elia had to complete 20 full-contact fights for their respective grades, while the young aspiring-to-be Shodans had to push through the full 40. Despite some close calls, everyone made it through. Everyone was thoroughly tested, fought well and displayed strong Kyokushin spirit. 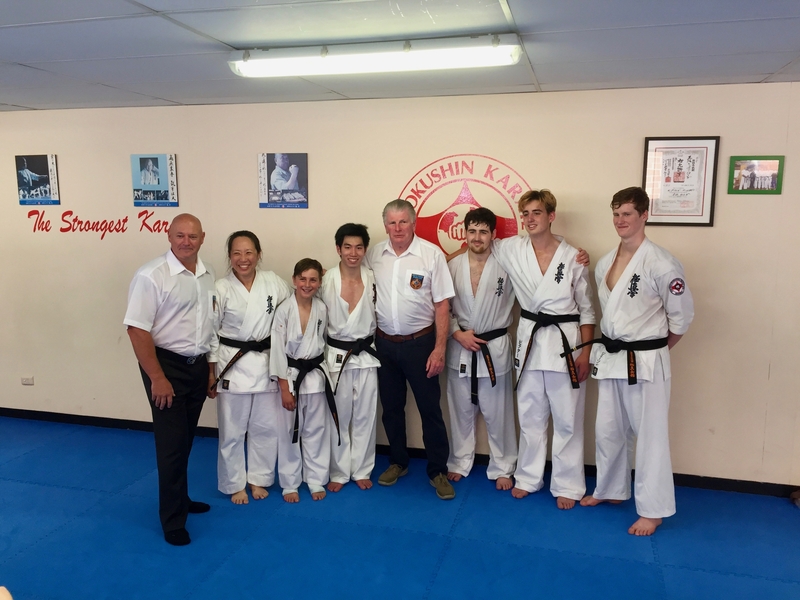 Shihan Howard was delighted with the standard, declaring at the end of the grading that the base level of technical ability had noticeably improved since the previous black belt grading. He congratulated all students, and awarded the new yudansha with their new black belts. Congratulations to all, especially Sempai Jason, Sempai Jonathan, Sempai Angus, Sempai Josh, Sempai Victor and Sempai Trish! This was an extra significant grading, as two records were broken: Sempai Patricia Tan is the oldest KIMAA member to pass the Shodan grading; and Sempai Josh is the youngest KIMAA member to pass the same grading, at 12 years and two weeks old. Sempai Jonathan is also the second person who began Karate through Knox Grammar to achieve black belt. All who graded and those who came along in support.